Hmmmm . . . . ‘shining’—as in, um, Jack Nicholson? Or, as in ‘light fixtures’? either way, it’s a very well-taken photo which conjures up all sorts of latent, many-layered feelings. Thanks! Yeah, as in Jack Nicholson. 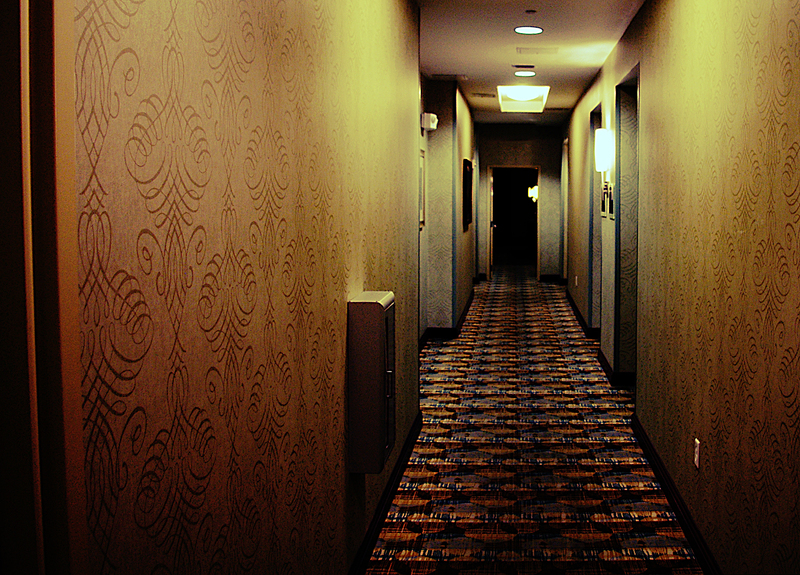 The hotel really reminds me of it, atmospherically at least. Creepy looking place….where is Jack? Red Rum… It really does remind me of that film. Yeah, I was glad the elevator didn’t remind me of the movie though, haha.